For Malcolm and Lyn Carter the Queensland Contract Bridge Club is their home club, but over the years they have taught bridge in a variety of places, including on many cruise ships. Malcolm started playing at the age of 11 when he bought a bridge book and taught himself to play where Lyn came from a bridge playing family and learnt at the age of 16 by attending lessons run by the ACT Bridge Association in Canberra. “We have both taught bridge, off and on, for a long time, including at schools where we worked at as teachers of maths and science,” Lyn said. 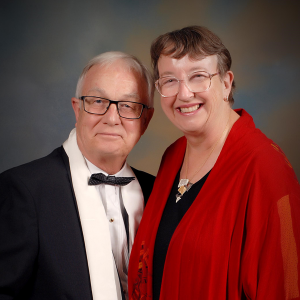 The couple regularly teaches bridge on cruises and have made some good friends in the bridge world. Lyn states that the people she meets are what she enjoys most about teaching and playing bridge. This isn’t surprising when you consider how Malcolm and Lyn met.